If you’re familiar with Tom, you know he puts a lot of thought into his songs. This talk is going to be kind of like a real-life “director’s commentary” version of a DVD, except the commentary comes after the content. Tom is going to play three different songs (one of them in Chinese) while the lyrics are displayed, and then he’ll talk about the inspiration and experiences that went into each song. Of course, he’ll also answer questions from the audience. The event is 30 RMB, and includes drinks and snacks. Remember: it’s tonight! If you don’t recognize the numbers, check my number character variants post. 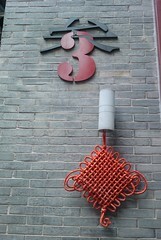 They are: 贰 (2), 叁 (3), 肆 (4). 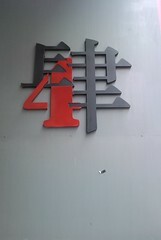 Building #4 is where Xindanwei is. 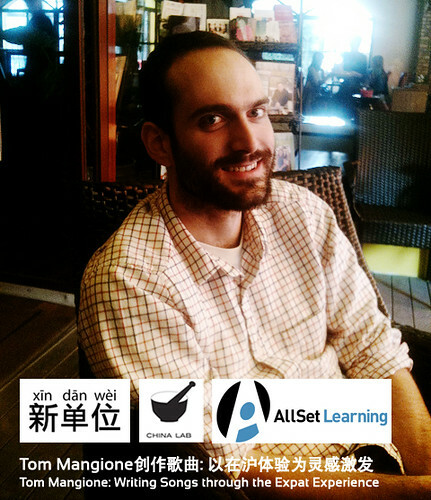 This Friday at 4pm I’m giving a talk there called Language Power Struggles in Shanghai. Feel free to stop in! I’ll post notes on it here later. Tomorrow, Friday April 9th, at 4:30pm Xindanwei is having a “Chit-Chat.” It’ll be a mix of Chinese and foreigners, and the guest speaker is Andrea Pan, AKA @popoever, who will be talking about social media (quite possibly mostly in Chinese). Admission is free. I’ve invited a few Shanghai blogger friends already. 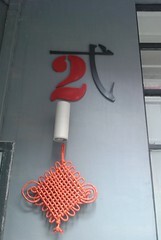 It’ll be a good chance to meet up and chat in a relaxed setting, and to check out Xindanwei, the co-working community where my new business AllSet Learning is also based.